3.DUBIE as well regarded for its magical creations for children that encourage both playing and learning, as for its environmental friendly nature. Selling point: 1.This classic set appealing to boys and girls, features appealingly-colored large panels that are easy for small hands to build. 2. 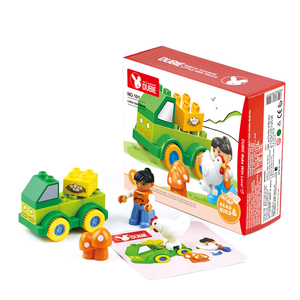 Including four different types of vehicles, with people Figure in each brick set , encourage children to explore different means of services, as well as roles and relationships in community life. WANGE educational Building Blocks Multi- foot Defenders 418PCS The best for kids ! Shantou Veryfun Baby Supplies Co., Ltd.
Shantou Huanyue Toys Co., Ltd.
&bull; Top non-toxic quality ABS material, ensure realiable quality and safe to the kids. 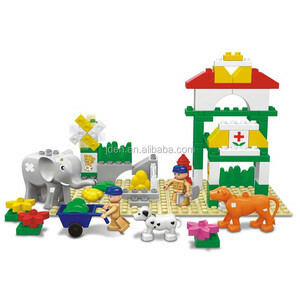 &bull; This building block toy is designed with our professional team, creative,fun and attractive. 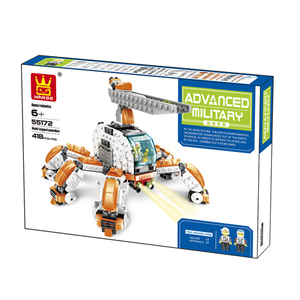 &bull; It's suitable for school and family teaching,can cultivate kids' imagination, ability of eyes and hands,cooperation. Payment : You can pay as through T/T, and other way if there are some special circumstances. 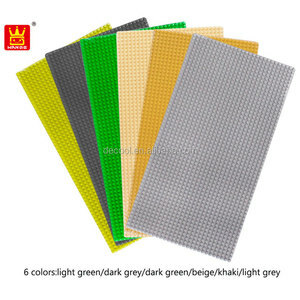 we supply sample orders, If you are interested in our toys, we can send you some samples. And our showroons over 10,000M2 are displaying over 400,000 kinds of toys and other products. 2.Experienced Our toys are designed by very experienced designers accoding to the interests and feels of the children. With defferent characters and styles, our products bring to the children not only happiness but also the health and wisdom. 3.High Quality We assure that our products will keep in very good condition after long time use or even in the harsh climatic conditions. 1.We obtained the certification of international quality management system of ISO9001(2000). 3.More than 200 new products are able to be launched to the markets for each year. 4.The shortest time from product planning to its manufacturing only 20 to 45 days. 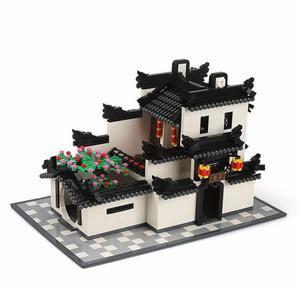 Shantou Chenghai District De Xin Toys Co., Ltd. Product advantage: 1.Give children the best educational toys gift. 3.Promote interaction with children and increase communication between family members. 3.Should you have interests in us, please don't hesitate to get in touch with us. Shantou Chenghai Haipengda Plastic Toys Co., Ltd.
Hangzhou Strong Magnet & Assembly Co., Ltd. It has a strong team to develop the new products, which is to commit to bring wisdom and fun to different children all over the world. There are thirty serise of toys in our company, including all kinds of magnetic blocks panels,eductional toys,wooden educational toys etc. Our products are mainly exported to more than fourty countries and regions, such as Unit States,Germany,France,UK,Singapore,Japan and so on. 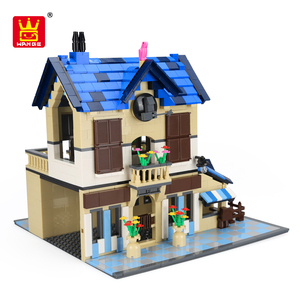 Shantou Guoyang Toys Co., Ltd.
Yiwu Power Import & Export Co., Ltd.
Shantou Chenghai Huanuo Intelligent Technology Co., Ltd.
Alibaba.com offers 2,643 wange building blocks products. About 89% of these are blocks, 8% are other toys & hobbies, and 1% are brick making machinery. 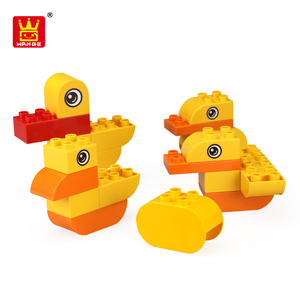 A wide variety of wange building blocks options are available to you, such as construction toy, diy toy, and educational toy. 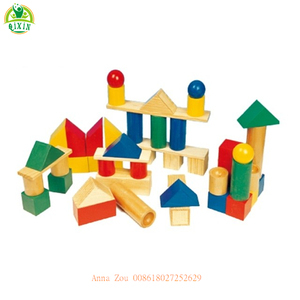 You can also choose from block set, hollow block making machine, and other educational toys. As well as from plastic, wood. And whether wange building blocks is abs, or pp. There are 2,643 wange building blocks suppliers, mainly located in Asia. The top supplying country is China (Mainland), which supply 100% of wange building blocks respectively. 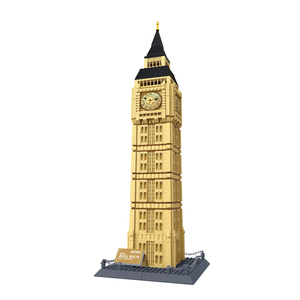 Wange building blocks products are most popular in North America, Southern Europe, and South America. You can ensure product safety by selecting from certified suppliers, including 1,478 with ISO9001, 1,339 with Other, and 733 with OHSAS18001 certification.